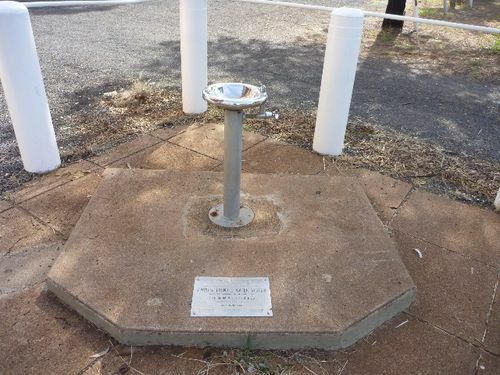 Drinking fountain commemorates the turning on of the Forbes - Trundle water supply system in 1962. THE HON. P. N. RYAN, M.L.A.